Guess Who's Coming to Dinner, one of Austin's most delicious fundraisers, consists of 23 dinner parties held simultaneously in private homes scattered throughout the city. Ranging in size from very intimate to over-the-top, you will be alerted as to which dinner party you will attend shortly before it begins. 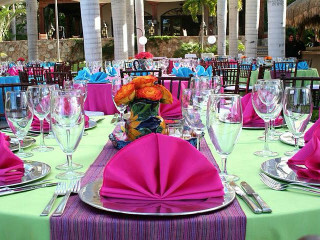 Once there, enjoy a surprise guest list, feast on wonderful food, make new friends and catch up with old acquaintances. After all the dinners are over, everyone is invited to a dessert and Champagne reception at NEST Modern. The entirety of each reservation cost will go to Project Transitions and the mission of helping those living with HIV/AIDS.